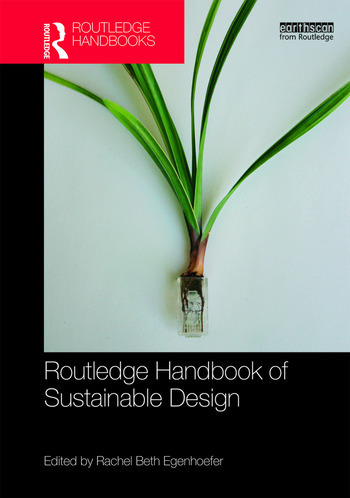 The Routledge Handbook of Sustainable Design considers the design, not only of artifacts, but of structures, systems, and interactions that bear our decisions and identities in the context of sustaining our shared planet. In addressing issues of design for global impact, behavior change, systems and strategy, ethics and values, this handbook presents a unique and powerful design perspective. Just as there are multiple definitions of design, so there are several definitions of sustainability, making it difficult to find unity. The term can sometimes be seen as a goal to achieve, or a characteristic to check off on a list of criteria. In actuality, we will never finish being sustainable. We must instead always strive to design, work, and live sustainably. The voices throughout this handbook present many different characteristics, layers, approaches, and perspectives in this journey of sustaining. This handbook will be invaluable to those wishing to broaden their understanding of sustainable design and students and practitioners of Environmental Studies, Architecture, Product Design and the Visual Arts. 30. How many ways to design for sustainability? Rachel Beth Egenhoefer is a designer, artist, writer, and professor, whose work integrates technology, craft, and design. Her work focuses on sustainability and systems thinking in the context of behavior change. As an educator, she is involved in several initiatives to promote sustainability in both the design field and across higher education curricula. Egenhoefer is an Associate Professor of Design in the Department of Art + Architecture at the University of San Francisco.